Adorned with real stones, our Gemstone Handicrafts are used to add a class and luxury to the ambiance of the place. Our exquisite collection is widely appreciated by the clients for its unsurpassed beauty, attractive patterns, excellent polish and smooth finishes. 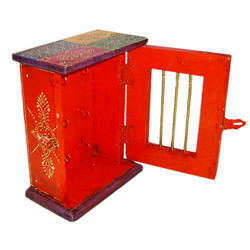 Available in plethora of colors, these handicrafts are offered at pocket favorable prices. We are offering our clients with attractive and durable Designer Key Chain Boxes In Gurgaon which are widely used in printing and packaging, corporate, banking, hotel industry and small scale sector. 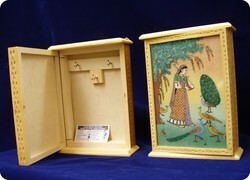 Wooden decorative keychain holder box with beautiful painting work. To keep your all keys safely.